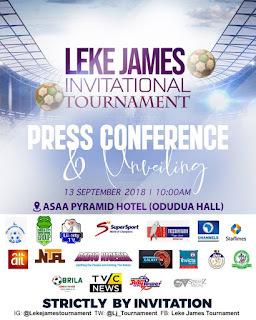 Leke James Invitational Tournament Press Conference And Unveiling At ASAA Pyramid Hotel. 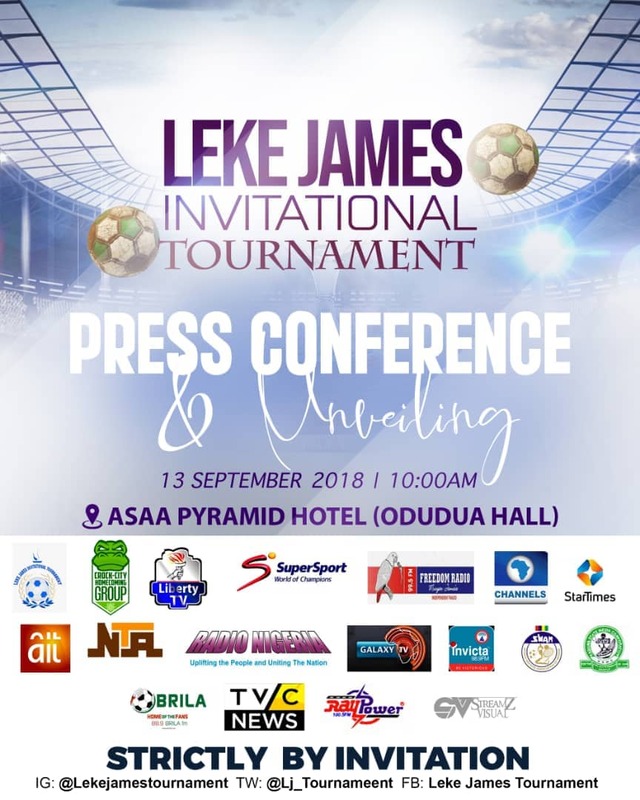 The concept, Leke James Invitational Tournament is an open invitation to Kaduna residents especially the stakeholders of soccer for the second edition of the forthcoming football tournament scheduled to run from 6th December to 15th December, 2018 in Kaduna. The Leke James Tournament Initiative is aimed at promoting grassroot football in Kaduna State with the support of the state government. The football tournament will be played at Ranchers Bees Stadium while the final match will be played at Ahmadu Bello Stadium, Kaduna. The press conference was attended by representatives from Diamond Bank, Pepsi, Kaduna State Commissioner For Sports And Culture, Sports Writers Association of Nigeria and representative of MadeIn KrockCity and various media houses. Leke James spoke to the audience through a video clip from Norway about the forthcoming tournament. According to him, he started his football career in Kaduna before moving to Europe and he is organising this tournament to give back to the society. He said that this year's edition will be an exciting one. Interestingly, International scouts from Europe will storm Kaduna to discover young talents among the 16 grassroots football Academies drawn from the nooks and crannies of Kaduna State to contest for the star prize of $560 and help them to actualize their dreams. All the football matches of the tournament will be played at Ranchers Bees Stadium (Kaduna Central Township Stadium) under the watch of football administrators, supporters, stakeholders and fans. 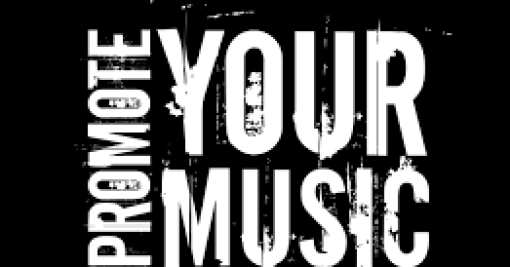 Participation is free of charge!! !